A example of a newly designed venue page which focuses on creating an immersive experience with a carousel of beautiful images. Previously each venue page had just one large photograph that overtook the entire page. 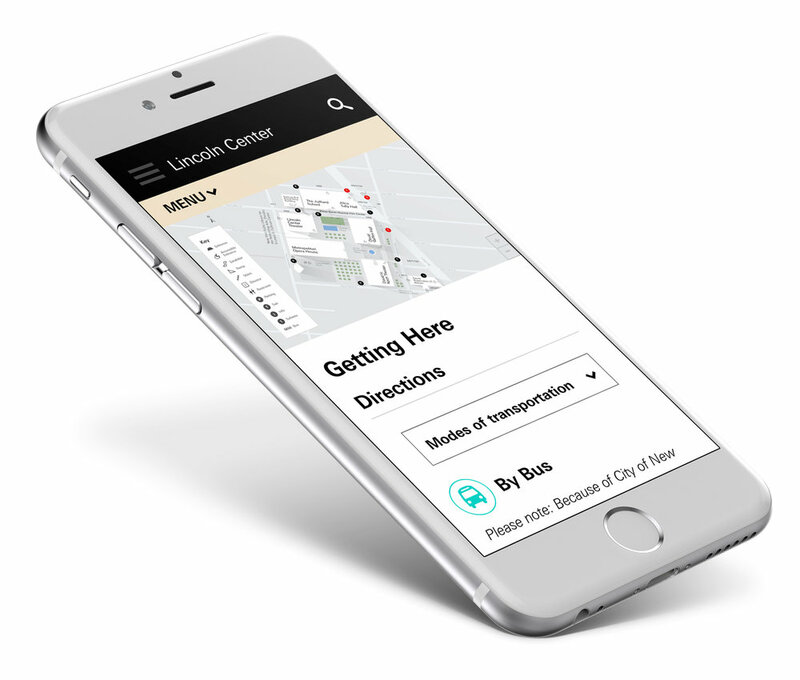 Previous to this redesign each venue page was sparse and didn’t highlight all the benefits of what visiting Lincoln Center encompasses. I designed a right rail allowing for customizable relevant content modules. The Getting Here page features a new interactive custom map users can zoom in and out of, drag to move around and each venue is clickable offering an overlay with the address and link to it’s own page. The Directions section is now easier to navigate and separated out by modes of transportation. 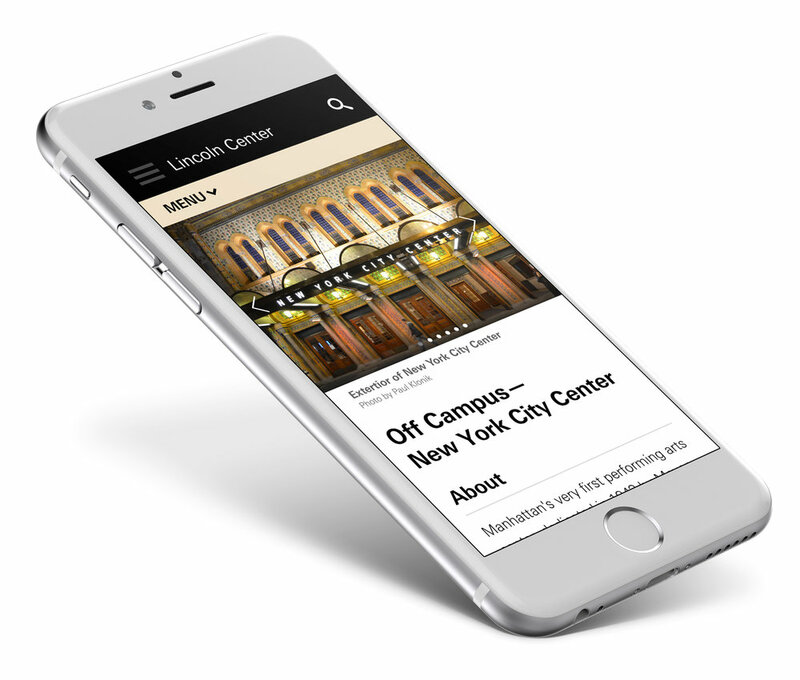 The customizable right rail has content modules designed that are relevant to being a visitor of Lincoln Center such as related links, app ad downloads, dining and shopping suggestions.